Polish website Foto Poork claims it has captured the first images of the F-22 Raptors the Air Force deployed to Europe. According to the website, the planes landed at Lask Airbase in Poland, and were joined by several F-16s. The aircraft are to take part in multinational training with Poland and other eastern European NATO allies. Air Force Chief of Staff Gen. Mark Welsh III said the planes were deployed in part to send a warning to Russia about interfering in other nation’s affairs. 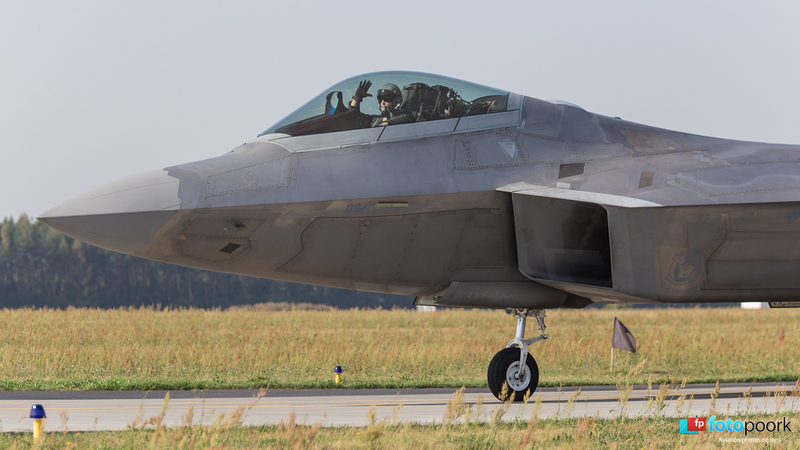 An F-22 pilot waves in this picture said to be taken by Polish website Foto Poork.